xtraCHEF, an automated accounts payable and food cost intelligence technology built for restaurants, accountants, and food service operators, today announced a partnership with Metz Culinary Management. 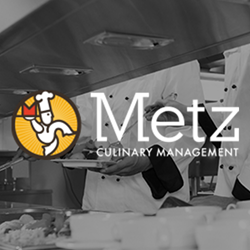 Metz Culinary Management is a leading dining management services company serving over 250 locations across a variety of market segments, including healthcare, corporate dining, higher education, and independent and public school dining. The company also operates several eateries throughout Pennsylvania and New Jersey. Simply snap a picture, scan and upload, or email your invoices, and xtraCHEF digitizes the invoice, stores the image in our cloud-based archive, automatically extracts line-item detail, routes for required approvals, and delivers the data directly into your Accounting or Inventory Management System. We then provide a number of cost intelligence features, including interactive COGS reports and dashboards that make it easy to access, analyze and share cost-saving information across your operations. Metz Culinary Management was established in 1994 by entrepreneur John C. Metz as a custom dining management service company with a “Guest First” philosophy serving a variety of market segments, including healthcare, corporate dining, higher education and independent and public school dining. And with the energy and foodservice experience of his son, CEO Jeff Metz, the company continues to expand its footprint and bring innovation to the food service management business.